What constitutes as a spa these days? Realistically, someone could simply fill up their bathtub, throw a ‘bath bomb’ in, sprinkle a few rose petals, light a few candles, and call it a luxury spa. However, we at Essentials Spa & Salon Metro West know that our valued customers are looking for a truly relaxing and pampering luxury day spa experience. What really sets our luxury spa in Orlando above the competition, and what should you be looking for in a quality, legitimate luxury spa? For these answers, look no further than here! Your skin and massage care experts at Essentials Spa & Salon Metro West explores the issue of quality day spas in depth to show you why our essential day spa is a fabulous choice when it comes to personal relaxation and pampering. That’s right, even though you’re only here at our luxury spa in Orlando for the day, or even half of the day, we’re aiming to give you the most relaxing and care-free experience we possibly can. Your worries about your family, school, work, friends, or any other aspect of life should melt away and stay at bay with our variety of quality spa services. A day spa is proof that you don’t need to spend exorbitant amounts of money traveling great distances and spending lots of time at a resort destination. Instead, you can get most of a resort experience with a short drive from your house. Additionally, you should return home feeling more relaxed, rejuvenated, moisturized, and healthy overall. Besides, what’s the point of going to a spa without returning as a physically better person, at the very least? Though our Orlando spa does so much more than this, these are essential services that a “full-service” salon and day spa should definitely have. A good knowledge and understanding of spa etiquette are just as important for the customer as it is for your masseuse, esthetician, or other Orlando day spa employee. Your therapist or other spa service provider will treat you with the respect that you deserve as one of our valued guests, but it is recommended that you learn about spa etiquette ahead of time, as well as pay equal respect. At no point should you feel like your service provider, whether at our Orlando day spa or anywhere else, doesn’t know what they’re doing, or is treating you with anything less than the respect that you deserve. 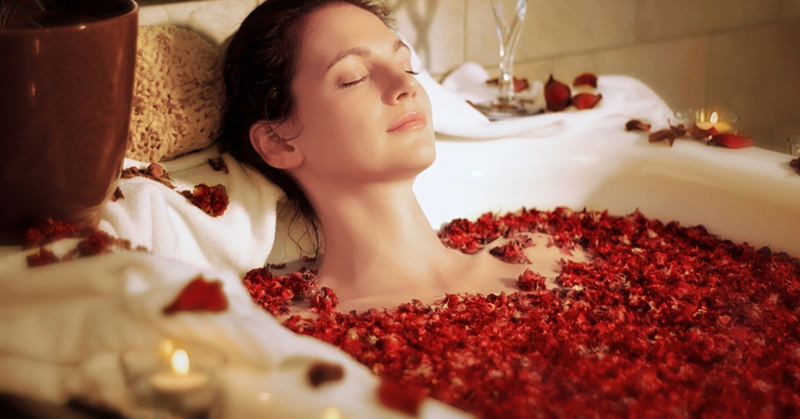 A quality, luxury day spa should be extremely clean. Spa treatments, if performed improperly or in unsanitary conditions, could potentially spread germs and bacteria and lead to infections – not good! Consider this issue with importance, especially when you keep in mind how many different people visit a spa each day. Luckily, at Essentials Spa & Salon Metro West, this is not a concern. We use the best industry-standard sanitation practices to ensure that you have a safe and clean experience. A good spa like our luxury spa in Orlando will have clean towels, bathrobes, and sandals available for all clients. Making sure that your luxury day spa in question is licensed is a good way to make sure that it’s a legitimate operation. It also ensures that their spa is clean and offers a range of services from experienced officials who know what they’re doing – you guessed it – just like at our essential day spa in Orlando. If you’re in the greater Orlando area and you’re wondering where you should go to receive service from the best spas in Orlando, look no further than Essentials Spa & Salon Metro West! Even if you’re not in the area, make a trip out here. We promise it’ll be worth it, because you’ll be getting a resort experience, right here at our luxury spa in Orlando! Find The Day Spa Package For You!